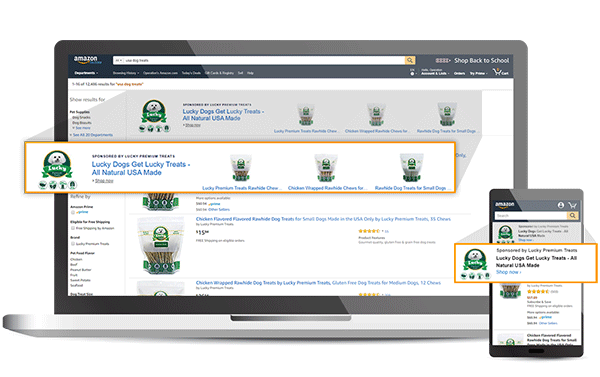 The goal of Amazon Marketing Services is to help sellers find more customers and advertise their products more efficiently. Part of these services also involve providing sellers with campaign performance reports, so you can optimize your current processes. Getting started is simple, and there is the potential to benefit greatly through targeted ad campaigns. 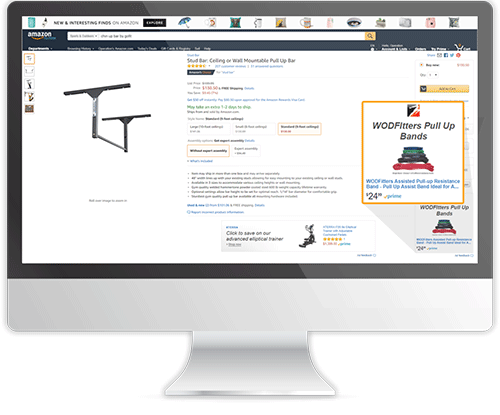 To develop your first basic ad campaign, you need to sign into your account at Amazon.com. You should see “Advertising” in the navigation on the page. Once you are there, you click on “Create your first ad.” However, before doing any of that, you need to learn about the different types of services you have at your disposal. Each one has its benefits and is useful under certain circumstances. For these campaigns, you select the products you want to advertise. You set a daily budget, and you can determine what keywords you want to target. The minimum daily budget you can have is $1, and reporting is made simple. To optimize campaigns, sellers should utilize keyword suggestions. As a seller, you can choose an ad landing page. Similarly, to product display ads, you need to determine a budget for the entire campaign that needs to be a minimum of $100. You can add a headline and a single image to the ads. You can decide whether you want to target a general interest or a certain product. You set an overall campaign budget that has to be at least $100. You are able to add a headline and logo to the ad to make it more eye-catching. There is even a box you can check if you want the ad to be seen on related products that may not be exactly the same as the one you are marketing. A great benefit of any of these ads is that you only pay when someone clicks on the ad. If someone simply scrolls past, then you have not spent any money. However, you do have to optimize the ads so that you can transform clicks into purchases. How Does an Item Qualify as an Amazon Sponsored Product? Before getting started, you should also make sure your store is able to advertise using these services. As of now, only certain countries qualify, including the United States, Spain, France, Germany, China, Italy and the United Kingdom. Additionally, you need to currently have an active Amazon seller account that is capable of shipping to all addresses within the U.S. The products you sell must be brand new. Sellers offering used items do not qualify. What Are the Different Types of Keywords to Use? To get more people to find your ads, you need to put keywords within them. These are words people are likely to search for on Amazon, and you want to try to incorporate a mix of them to have the greatest likelihood of success. You can have a single search term keyword, which is just a single word. There are also multiple term phrases, which incorporate a string of words in a specific order. Here are other kinds of keywords to look into. Out of Category Keywords: These are keywords that are not directly related to the item you are trying to sell. However, it is a keyword relevant to a related field, and they can help you pick up potential customers who may not ordinarily look up your item on its own. Complementary Product Keywords: This is when you use keywords about items that can be used in conjunction with the specific product you want to sell. For example, if you are trying to sell a tent, then one of your keywords could be “sleeping bag.” Someone wanting to buy a new sleeping bag may be interested in purchasing a new tent as well, so you pick up more traffic that way. Competitor Branded Keywords: This is when you research your competition’s products, and use keywords that are implementing into your own ad descriptions. Branded Product Keywords: These are keywords that incorporate the name of your brand. They can also include a variation. For instance, if your brand name has the word “the” in it, then you may want to think about having one keyword with that word eliminated. An effective campaign will incorporate a mixture of these keywords. It helps you cast the widest net possible. What Are Other Strategies for Making an Ad Campaign More Effective? In order for a campaign to be successful, it needs to run continuously. Many shoppers make multiple purchases in a single month, and you always want to be in the forefront of prospective consumers’ minds. 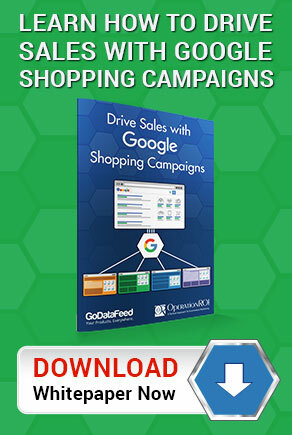 Part of running these campaigns means you are provided with suggested keywords. Along with the word itself, you will be shown whether the keyword receives a lot of traffic, a medium amount or a low amount. Many sellers opt for the high traffic keywords, but these tend to be a lot more competitive. You can certainly have them, but you also want to incorporate keywords in the medium and low ranges. When you create a headline for your ad, you want to ensure it is enticing and encourages customers to do something. You can include a phrase, such as “Buy Now.” Conversely, you want to avoid terms, such as “#1 Product.” Amazon generally frowns upon unsubstantiated claims like this, as there is no way to prove it. You can also test different campaigns to run concurrently. There should be slight alterations to each campaign, and after a month, you can see which one has been more successful. You can continue running several campaigns at the same time so that you end up with an effective marketing strategy designed to excel. How Do You Start Benefiting? 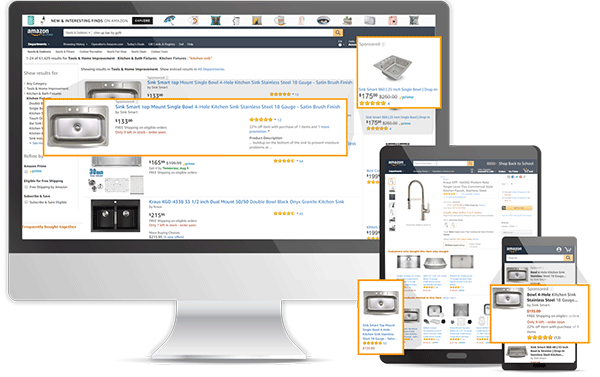 Many companies have already seen great success with Amazon Marketing Services. For example, Sawyer Products managed to climb the Sports and Outdoors best-sellers ranking from #53 to #5. The Sun Products Corporation managed to attain a 500 percent return on investment with a campaign. Your business can be the next success story, so start developing your new campaign. The information provided above gives you an introduction into Amazon Marketing Services and ways to maximize your exposure on Amazon. Unfortunately this is just beginning. Maintaining successful marketing campaigns on Amazon is an ongoing commitment that requires continual monitoring of performance and goals. To learn more about how OperationROI can help you make the most of your AMS campaigns, call our team at 1-888-277-5429 or fill out our contact form.